Описание: Предлагаем Вам скачать замечательные Кембриджские прикладные учебники английского языка. Профессиональный английский: - маркетинг, информационные технологии, медицина, юриспруденция, экономика и т.п. Книги этой серии могут использоваться и как лексические справочники, и как сборники упражнений, помогающие развивать специализированный словарный запас. 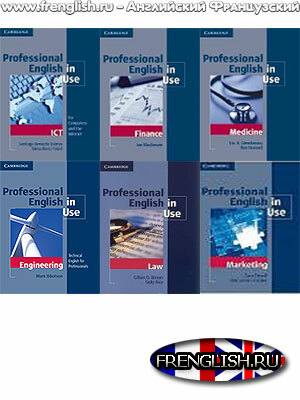 Professional English in Use Engineering - Mark Ibbotson 2009. offers specialist vocabulary reference and practice for engineering students and engineers who need to use English at work. It covers a wide range of engineering fields, including civil, mechanical and electrical engineering. Based on the best-selling English Vocabulary in Use format, left-hand pages explain new words and expressions and right-hand pages provide activities to help learners develop their understanding of new language. Suitable for Intermediate to Upper Intermediate level students, this book is ideal for self-study, classroom work and one-to-one lessons, and includes 45 units. Professional English in Use ICT is suitable for intermediate to advanced level learners of English. The book covers a wide range of topics on Information Communications Technology including word processing, financial software and databases, multimedia applications, email, web design and Internet security. It presents and explains new words in context and shows learners how to use them. Primarily designed as a self-study reference and practice book, it can also be used to supplement classroom work. Easy to use and written in a clear style, this book will be invaluable for anyone needing to improve their ICT vocabulary for work, home or study. Professional English in Use Law - Share Suitable for upper-intermediate to advanced students, Professional English in Use Law contains 45 units covering a wide variety of legal terms and vocabulary and has been has been developed using authentic legal texts and documents. Topics include corporate and commercial law, liability, real property law, employment law, information technology, contract law and intellectual property. The book also introduces general legal vocabulary related to legal systems, legal professions and functional language lawyers need in their daily working lives. Professional English in Use Management - offers management vocabulary reference and practice for learners of upper intermediate level and above. Key MBA topics, including Leadership, Change Management and Finance are presented through real business case studies. The course has been informed by the Cambridge English Corpus to ensure that the language taught is up-to-date and frequently used. 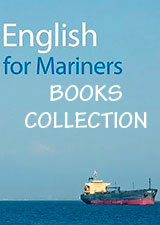 Primarily designed as a self-study book, it can also be used for classroom work and one-to-one lessons. This book is a must for both students of MBA and other Business programmes and professionals who need to use English in managerial context.